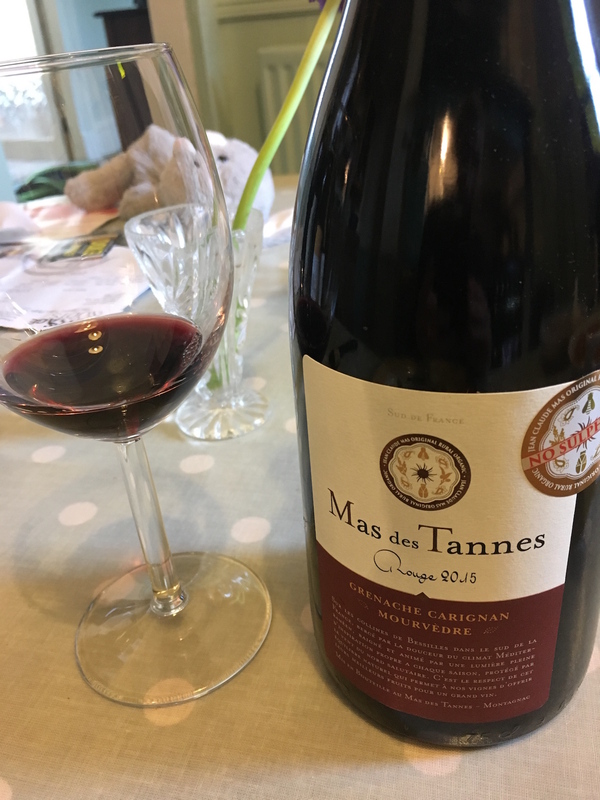 I bought a mixed case of no sulphur organic wines from Vintage Roots and they arrived today so I’m trying the first bottle which is a French red called Mas des Tannes. The grapes were organically grown in the south of France. It’s delicious! I love the smell of red wine. I think I would be happy just to sniff the bottle and not drink any but it’s nice to get to taste some too, especially when it’s good. Don’t believe it when people say they have to add sulphur otherwise it turns to vinegar. This is not vinegar. Posted in Journal and tagged organic, sulphur, vinegar, Vintage Roots, wine. Bookmark the permalink.